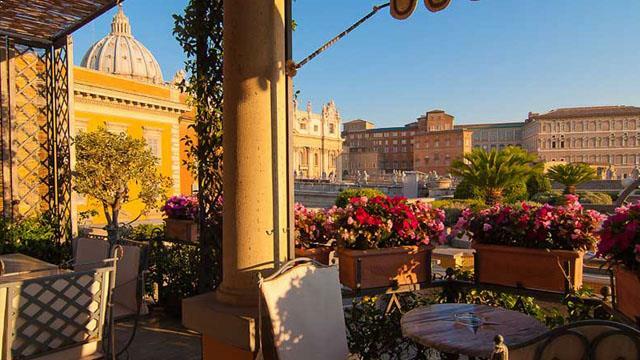 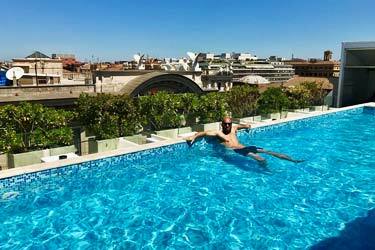 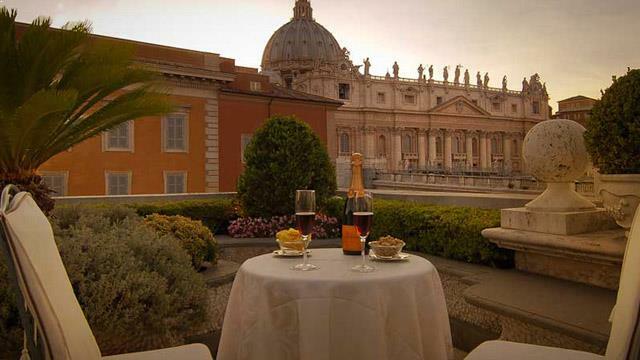 The fantastic Residenza Paolo VI Hotel has a very a cozy rooftop bar in Rome, right at St. Peter's Square, overlooking the St. Peter's Basilica and the Apostolic Palacein in Vatican City. 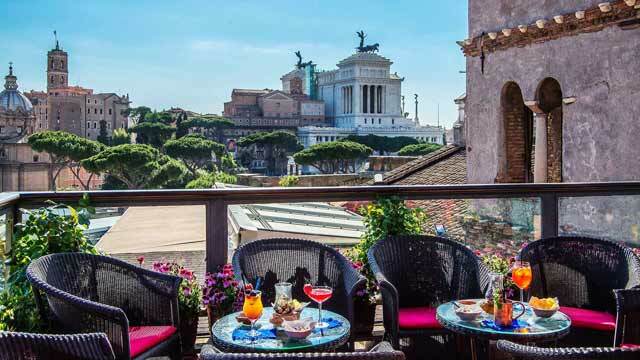 This is a perfect Roma rooftop bar (complete guide here) to visit after a long day of tourism in the Vatican. 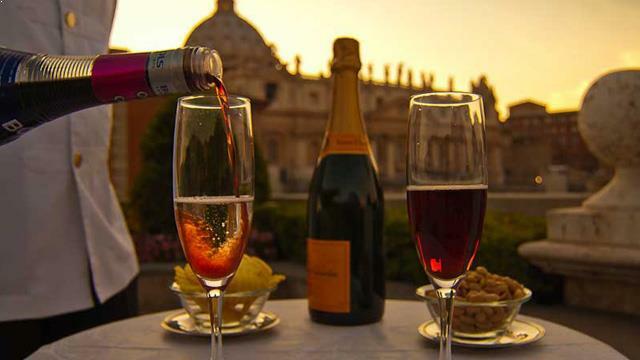 The rooftop bar offers refreshing drinks all afternoon and night, and there is also afternoon tea service along with an á la carte menu with variety of cold starters and courses of the day. 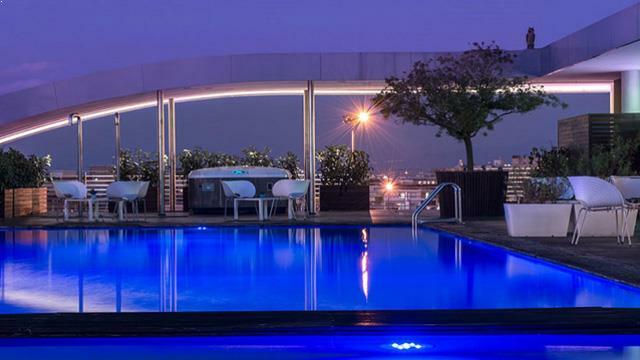 And for those who want to have private parties and events, it is even possible to rent the entire roof terrace. 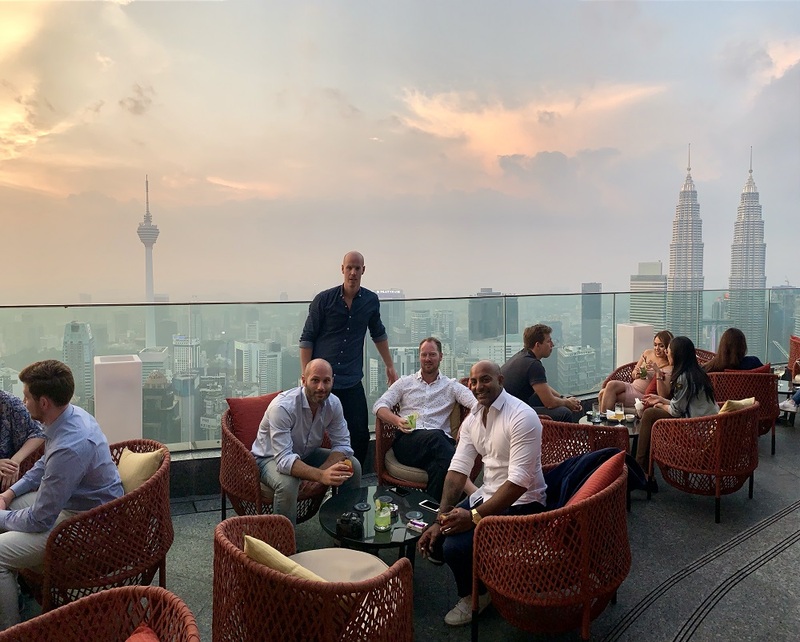 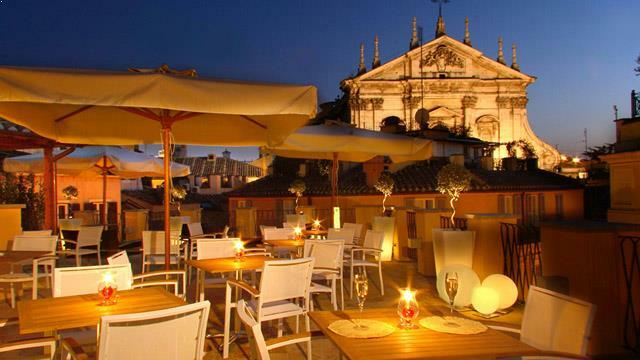 The rooftop bar at Residenza Paolo VI Hotel is cozy furnished in classic old Italian style, which creates a lovely atmosphere. 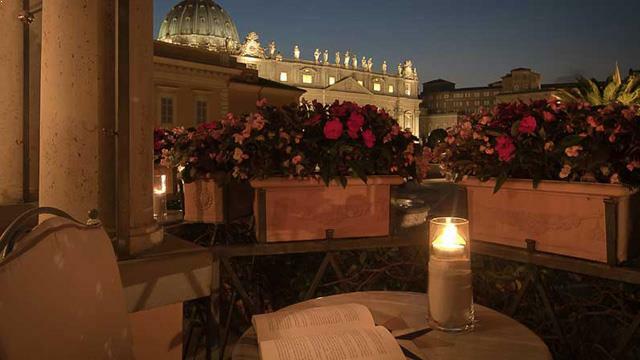 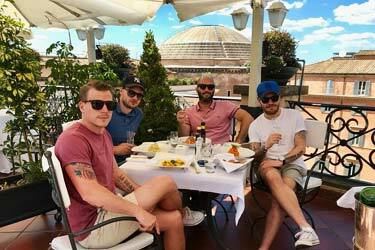 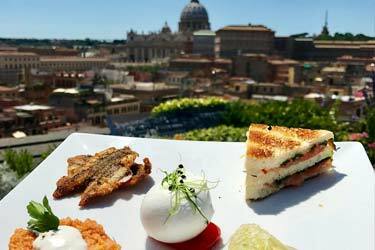 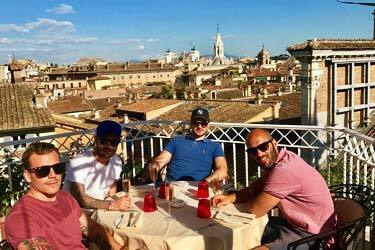 If you are looking for a romantic rooftop with a quiet and harmonious feeling, Residenzia Paolo VI Hotel is a very good roof terrace in Rome to go to.